Planning for a wedding is an extensive affair. You need to plan not only for the big day, but for rehearsal dinners, reception party, and bachelor and bachelorette party as well. 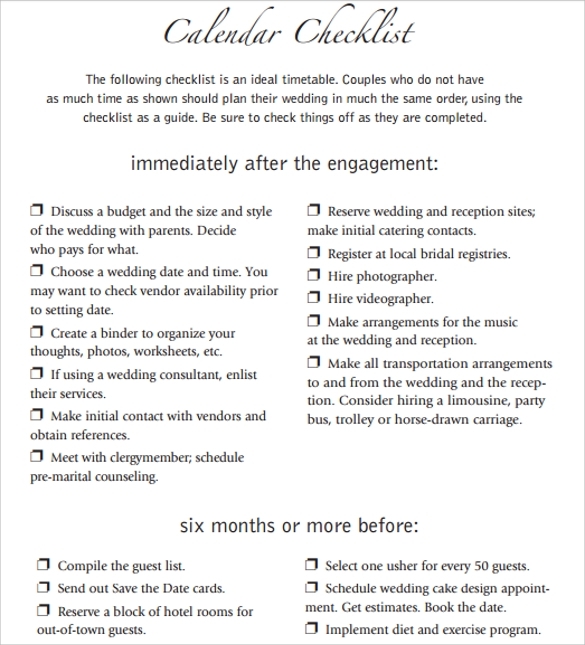 Owing to this, it is always a smart move to keep a good wedding timeline. 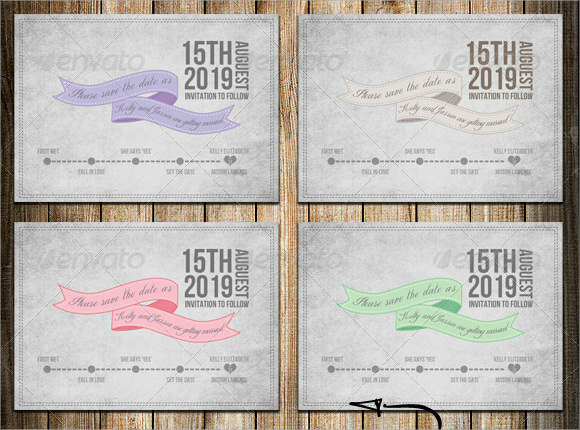 To make this job easier, there is a huge range of sample Wedding Timeline Templates, which you can easily download and use to make your wedding timeline. 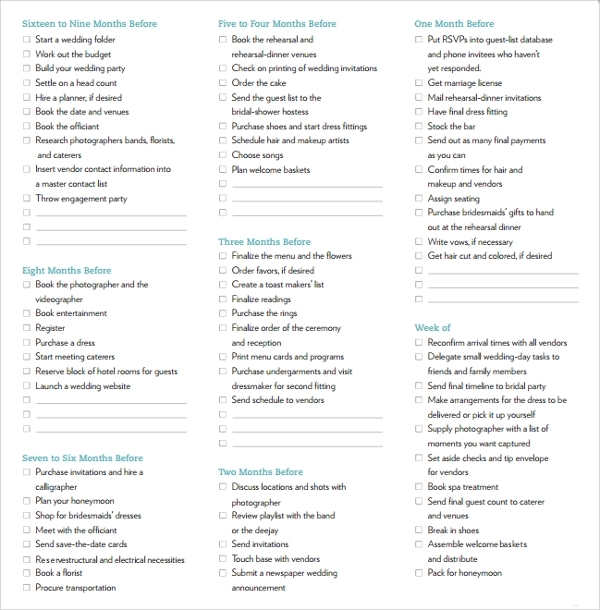 A template offers a readymade timeline structure which can help you in creating a schedule quickly. 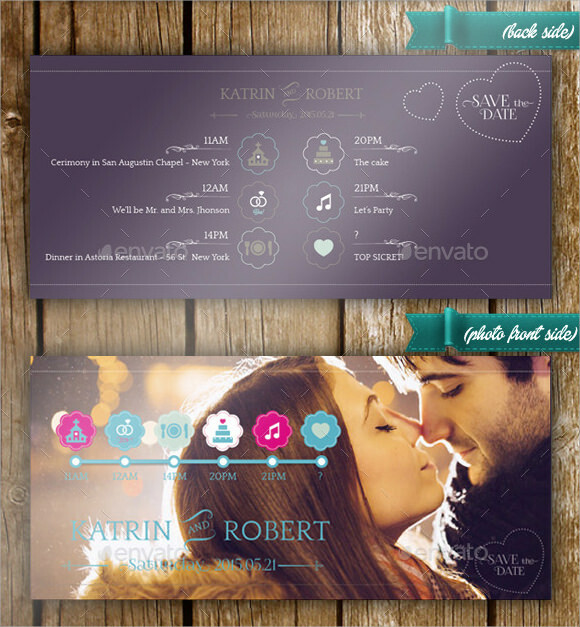 These templates can be easily customized so that you can enter your wedding details appropriately. The wedding week is hectic, and often includes a number of activities, including bride and groom appointments, visa appointments, car bookings, pre-ceremony photographs, bridal party, bachelor and bachelorette party, cocktail, dinner, reception etc. 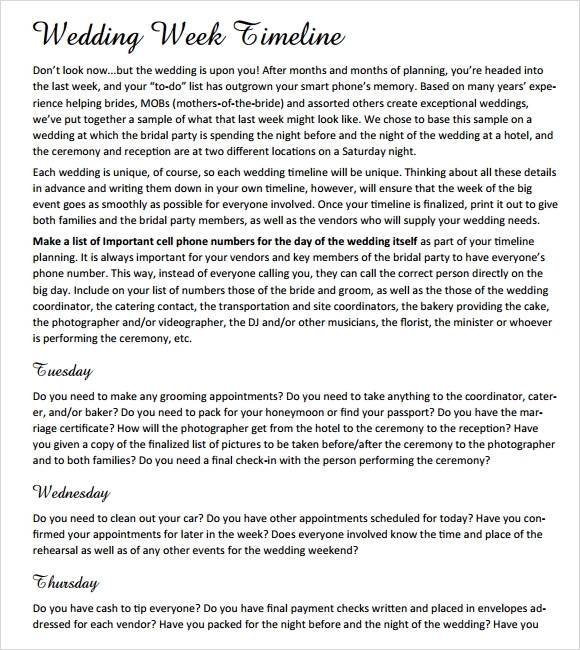 A wedding week sample wedding timeline template will contain all the things that you would expect during a wedding week. However, it can be customized as per your individual needs. Bride and the bridesmaids have to go through a lot of activities and appointments related to the wedding. These include hair and makeup appointments, lunch hour, first look photographs, the ceremony, grand entrance, toast, cake cutting, first dance, bouquet toss etc. 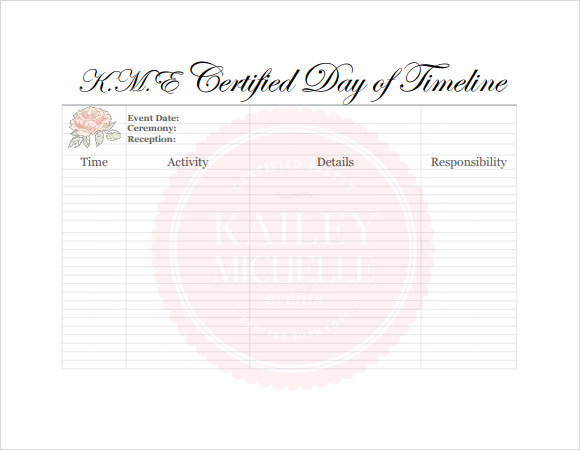 A bridesmaid’s sample wedding timeline template will give you an outline for the happenings of the wedding, so that you can stay prepared and do not miss anything. Groomsmen need to go take care of a number of activities during the wedding, including the cocktail party, lunch hour, the ceremony, car booking, reception party, cake cutting, first dances, honeymoon arrangements etc. 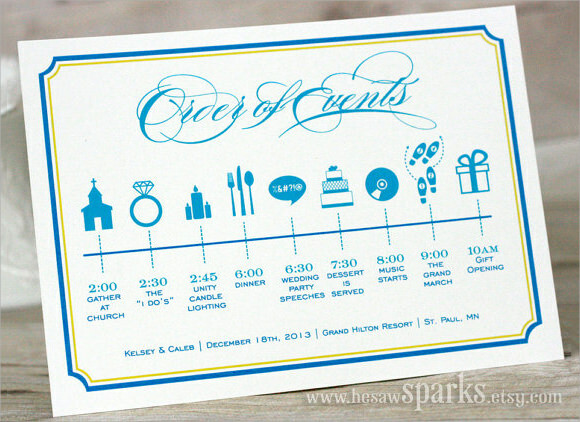 Use a groomsmen sample wedding timeline template to be prepared for everything from the groom’s side. 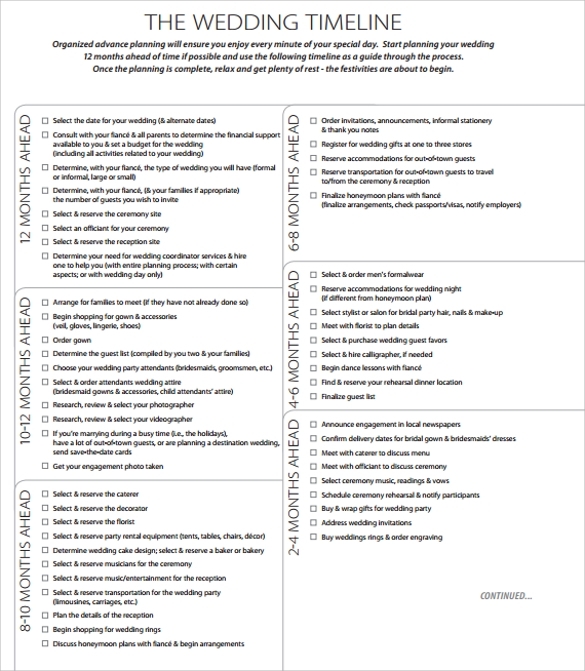 A sample Marriage Timeline Templates should contain all the happenings to take place before, during and after the wedding, including the ceremonies and parties, their time and venue, themes if any, and other important details. Take help from a professional to get it made. 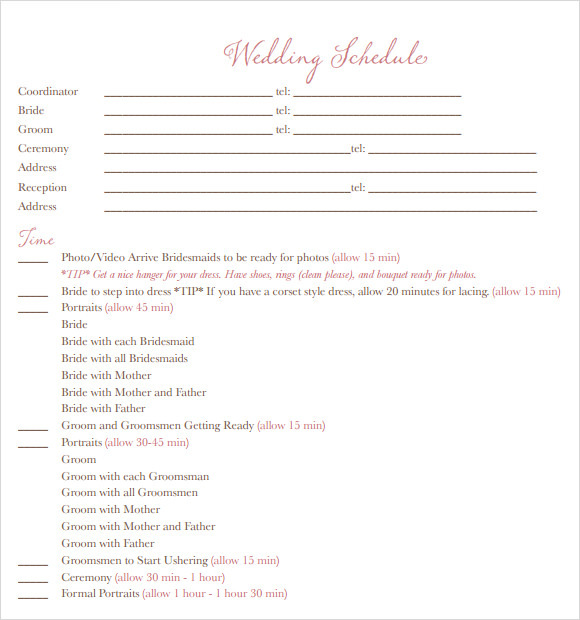 A sample wedding timeline template will offer a readymade schedule structure, thus save you from creating anything from the very beginning. A template can be easily customized as per your needs. 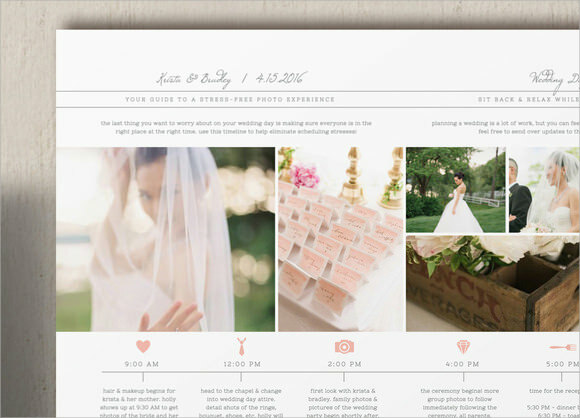 Just download it, enter your particular wedding details, and print them out. These prove to be great time-savers.